At LifeSpa Chiropractic & Wellness, we do our best to empower and educate families so that they can make better choices towards advancing their health. Educational workshops are held on Tuesdays – two times a month. We encourage you to attend. They are open to practice members as we well as the community. 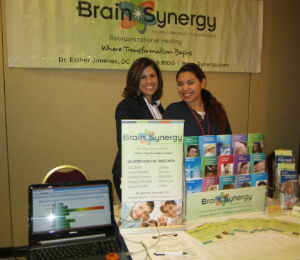 Attend one of our events, or have Dr. Jimenez speak at your event. Sugar Addiction: Licking the Sugar Habit! Organic vs. Nonorganic: What is the Difference? Nutritional Labels: Where Do I Start? Please check often for other coordinated workshops. If your company or organization would like to arrange for Dr. Jimenez to come in and speak on a particular topic or arrange a specialized workshop for your group, please call our office for details. We’re available to give talks at your workplace on ergonomics and other health topics. We’d love to meet you and answer your questions. Contact LifeSpa Chiropractic & Wellness us today! 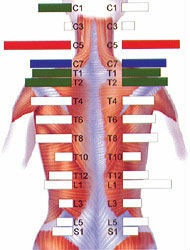 Each color represents differing amounts of tension and stress to produce a disturbance within the nervous system. At LifeSpa Chiropractic & Wellness, we utilize an advanced chiropractic technology, the Insight MillenniumTM Subluxation Station that scans your spine and delivers a computerized image of the stress and tension on your nervous system. Once the scan is completed we will discuss your individual concerns to find out how you may be helped with chiropractic care, but if you’re not a candidate for chiropractic care we will advise you in the right direction. Limited space available: Wednesdays only, 2 spaces per week. Contact us today to reserve your appointment.